The EM1020 Series provides media conversion between 1000BASE-T(X) and 1000BASE SFP Fiber. The EM1020's fiber design is compatible to 1000BASE SFP fiber transceiver. Also, through DIP switch selection, Link-Fault-Pass-Through (LFPT) function can be active or disabled. With Gigabit transmission rate, the EM1020 supports Jumbo Frame up to 9K bytes. 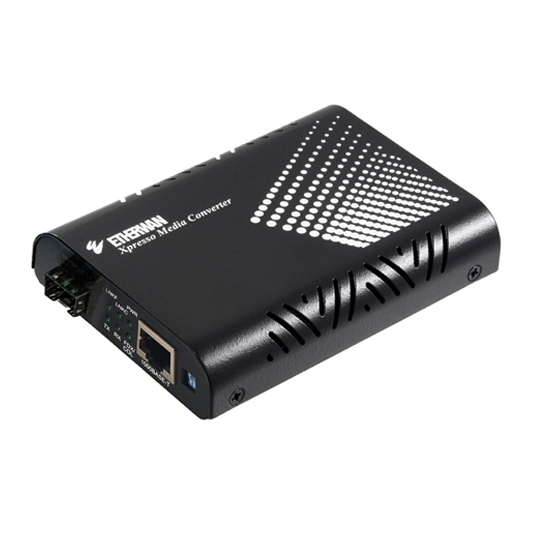 Also, this commercial grade Gigabit media converter supports EtherWAN's EMC1600 chassis system for easy group installation. the EM1020 is the ideal media converter for enterprise environments. * EMC1600 (available seperately), a proprietary 19" chassis system, can house up to 16xEL1020 Series Series media converters.